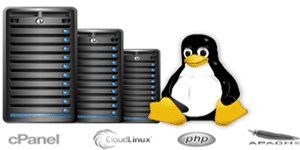 Get Our Shared Linux Hosting Plans Today! Raj Softech Solutions offers the Best Linux Based Shared Web Hosting Services at affordable forces suitable for all level of businesses. We provide a way to make your website available 24×7 days and can be accessible from any part of the world. Our web hosting plans are designed in a way to meet the present demand of your hosting needs and we have dedicated plans for all business whether it may be small-sized or an established business. We have built our servers with powerful top end hardware designing to manage any critical situations and help for a smooth operation of your website. Our different plans help you to upgrade at any stage whenever there is an increase in resource usage. Find the list of suitable plans for your business needs and get online today. Start your Online Business with our Unlimited Shared Web Hosting Plans. Are you new to start your first online business website, then start with today with us? Our Shared Web Hosting Plans comes with a wide range of flexible plans for your various business needs within your budget. Our Linux powered servers give you an optimal hosting experience starts from Rs.59 per month onwards. 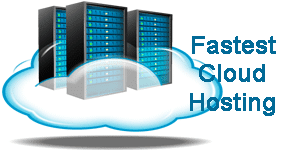 Load your website at the lightning fast speed through our Cloud Servers. Fire up your business website at lightning fast speed through our Cloud Hosting Servers. Speed up your online presence up to 8x times faster than other cloud networks - no data migrations, no downtime or reboots. Install your cloud server in seconds with and get FREE cPanel. Truly Isolated and guaranteed resources at affordable prices. Our VPS servers offer you guaranteed resources for your hosting platform thus enabling you to stay on the top of your business. Get the customized servers from our VPS Web Hosting plans suitable for your growing customers and audience base. The VPS plans start from Rs. 1999 per month onwards. Flexible and Powerful Hardware for Optimal Performance. Our Dedicated servers are highly optimized and powered by high-end hardware supported by the latest softwares such as cPanel, WHM, CloudLinux, and Litespeed. Dedicated Web Hosting plans are designed to meet the various demands and requirements of the web hosts in today's industry. Try our services for the first 15 days and if you are not satisfied, you can cancel for a complete refund. We have the best world class support team available anytime to assist you in your hosting issues. Anytime availability is what the every businesses prime priority and it's our promise as well. Think of changing to better hosting? We will help you to transfer your domain and hosting to our servers. 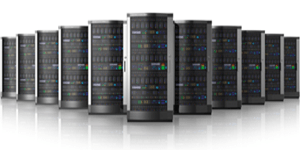 With our start-of-the-art servers, we give you the best hosting plans for your business. Want to rank your business on the top, we will help you with our digital marketing experts. We deploy only high-end hardware for our servers to give the best possible performance. Your website will never slowdown or stop at any instance. Our customer data security is our utmost priority and we have 8 phase 2048 bit encryption to protect our user data hosted on our servers. We supply the world's best control panel "cPanel" which gives the best hosting experience for our users. It is entirely free to use with our plans. Our specially designed servers gives you the fastest website speed using various caching techniques, ultra compression of all html, css, php files etc. We installed the world's best software to support our hardware functions for the optimal performance. We employ cPanel, Cloudlinux, Litespeed, Apache etc. Your data secured on our server is protected with frequent R1 Soft Backups. 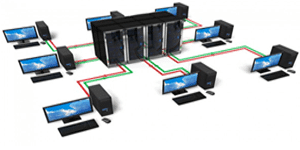 We employ weekly, monthly data backup on our remote backup servers. We promise to keep your website live anytime accessible to the world. Thus, we have the 5-star rated premium customer support through phone, live chat etc. We have specially designed various packages to suit your different business needs starting from Rs.99 per month. You can upgrade or downgrade anytime.